IN order to ensure that citizens of our country exercise their right of franchise in the forthcoming elections, Confederation of All India Traders (CAIT) has launched a country-wide awareness campaign to vote in forth coming elections. In Nagpur, this campaign will start from April 6 and will continue till April 9. 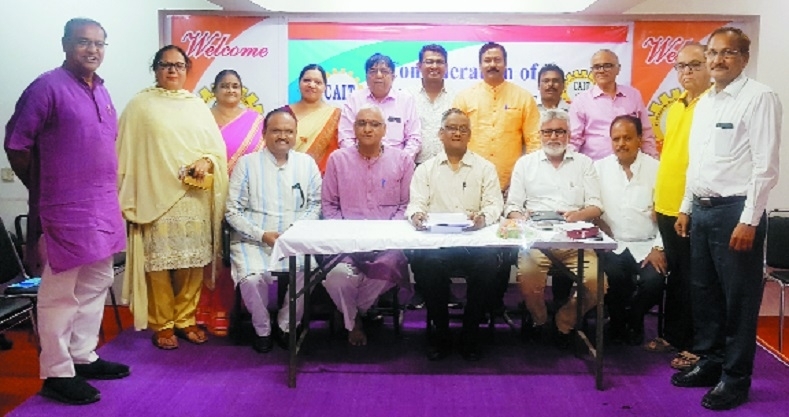 In a meeting of Team CAIT Nagpur, chaired by Chairman Gopal Agarwal and presided over by President Kishore Dharashivkar, it was decided that in Nagpur, the campaign will start from morning of April 6. Chhaya Sharma and Jayshee Gupta said, “Ladies will participate in very big way and try to visit as many are as possible.” Convenor of Youth Wing, Sapna Talreja said, a team of youth volunteers will be formed who will try to reach the youths especially those who will be getting first time voting rights, informs a press release issued here. National President B C Bhartia said, “This is purely a non political movement. It is encouraged by Election Commission’s idea of highest percentage of voting. CAIT is not recommending voting to any particular person or any particular political party but the whole moto is that voters should take their independent decisions.” Prabhakar Deshmukh, Rajkumar Gupta, Gyaneshwar Rakshak, Ravindra Gupta, Nikhilesh Thakar, S Bhutoliya, Banty Telmasare, Vinod Gupta, Satish Bang, Madhu Trivedi, Jyoti Awasthi, Sanjeevani Choudhary, Rajni Agnihotri, Meena Basek, Anita Totewar and other members in large numbers were present at the meeting.